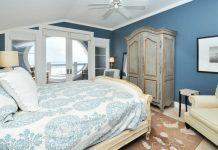 Garrett Realty Services can help you with your wedding party guest accommodations for your perfect beach wedding along Scenic Highway 30A and the South Walton beaches. They have vacation rentals of all sizes and offer discounts for multiple properties rented. Call 1-800-537-5387 and let one of their experienced reservationists help ease the burden of finding accommodations for your wedding guests. Learn more at Garrett’s website.